In 2011, when former American Ballet Theatre principal Michele Wiles departed the company and formed BalletNext, she found an artistic freedom she'd been longing for. Along with new collaborations with choreographers and musicians, she began working with trumpeter Tom Harrell, who introduced her to the multilayered sounds of jazz. "The dancers are another instrument to a jazz musician," says Wiles. Pairing this music genre with her classical foundation has been pivotal in defining her style. "I have this classical facility, but my mind is more contemporary. Jazz is a good intersection for my work," she says. Watch Olympic Figure Skater Adam Rippon Finally Take Home His "Gold"
Olympic figure skater Adam Rippon and pro partner Jenna Johnson snatched the coveted mirror ball trophy at the "Dancing With the Stars" Season 26 finale. Although it's not that surprising (everyone was rooting for the skating darling, who basically won the Olympics), it's still nice to see his hard work pay off. Robert Roldan may have stolen our hearts on Season 7 of "So You Think You Can Dance"—but it seems his heart was stolen long before that by none other than Emmy Award–winning choreographer Mandy Moore. As his first jazz teacher at Bobbie's School of Performing Arts in Thousand Oaks, California, Moore taught him everything he knows about dancing. Now, as an all-star on this season of "So You Think You Can Dance," Roldan's applying those invaluable lessons with partner Taylor Sieve. "What Mandy has always taught me is that you need to feel the emotion and intention of the pieces you perform, as a human, before you can apply it to your dancing. The week that Taylor and I performed Mandy's piece, I used the entire two hours of private rehearsal time to talk about what the piece was about and how we could connect to it. I believe that doing this was ultimately more valuable than any time we could have spent cleaning details and making the piece perfect. Mandy taught me this at a young age, and I try to apply it to Taylor as much as I possibly can when I teach her. People won't connect to how high your leg is or what crazy tricks you can do. They want to feel something. And when you feel it, they feel it." Watch Roldan on "So You Think You Can Dance" tonight on FOX. 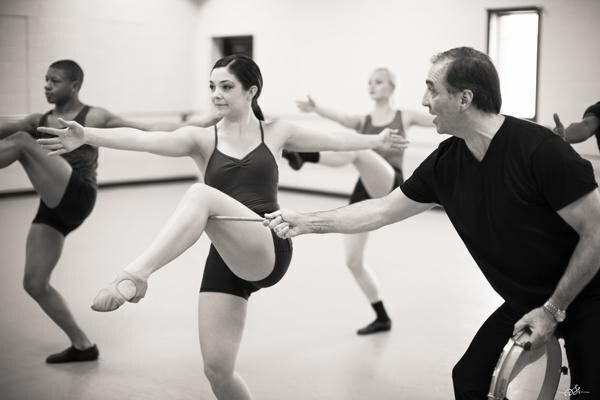 Boross studied extensively with jazz legend Matt Mattox, wrote his master's thesis on Mattox's career and has been a professor in six university dance programs. Here, he teaches one of Mattox's codified warm-up exercises. The National Dance Education Organization’s first “Jazz Dance: Roots and Branches in Practice” conference is happening at Salve Regina University in Newport, Rhode Island, July 31–August 3. The four-day conference contains movement workshops of a variety of jazz styles and in-depth panel discussions that cover jazz dance’s past, present and future. Special guest presenters include Bob Boross, Danny Buraczeski, Thom Cobb and Billy Siegenfeld. The second day of the conference focuses on vernacular styles, homing in on jazz’s historical and cultural roots. 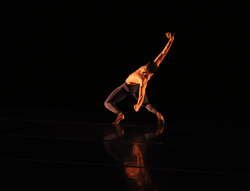 The third day delves into theatrical jazz and how the dance form has evolved over time. Topics for discussion include: how to teach jazz dance that is relevant but historically rooted; what is the relationship between jazz dance and music; and how pop culture has changed the face of jazz. Master teacher Bob Boross will be a presenter at the conference.